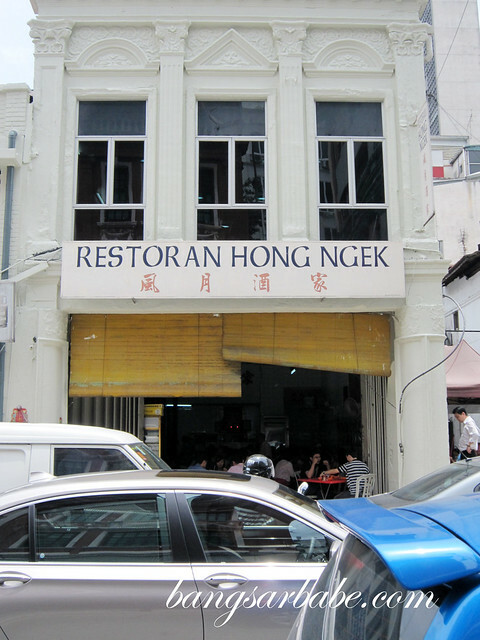 I’ve dined at Hong Ngek many times but since all of my visits were work lunches, I never got around to blogging about this place. 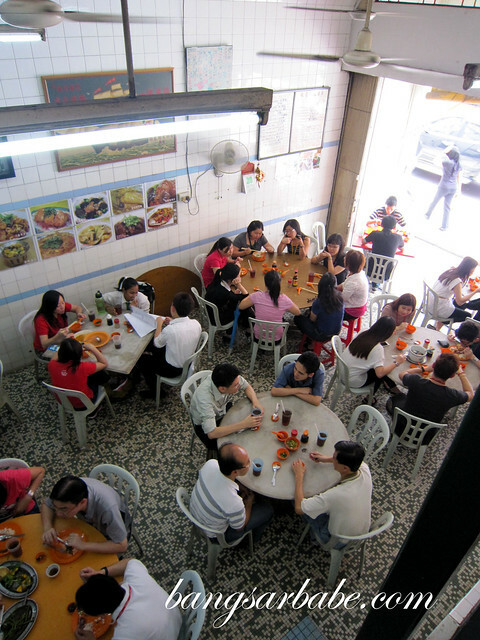 Now that I work far away from KL, I miss this place terribly. 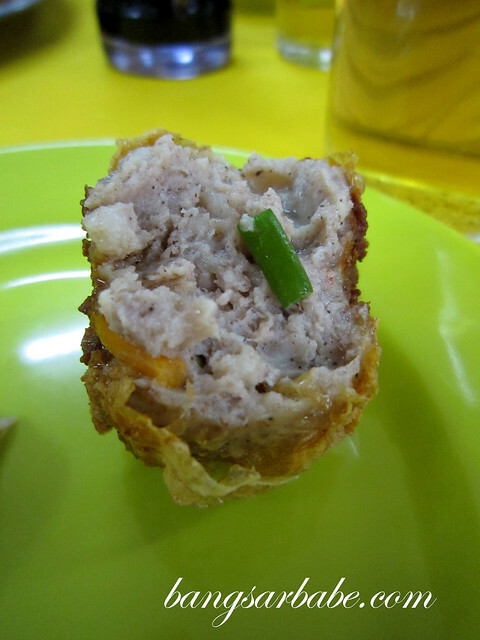 I miss the crab meatball, fish fillet curry, herbal chicken and BBQ pork ribs (that is REALLY good). Here are pictures of most of the dishes I’ve eaten at Hong Ngek – except the noodles because I was too hungry and forgot about the camera. I’ve taken travellers (including Brian from Adventurocity) and friends here, and they’ve all enjoyed the food. Unfortunately, this place is only open for lunch from Monday to Saturday and I rarely have Saturday afternoons free anymore. 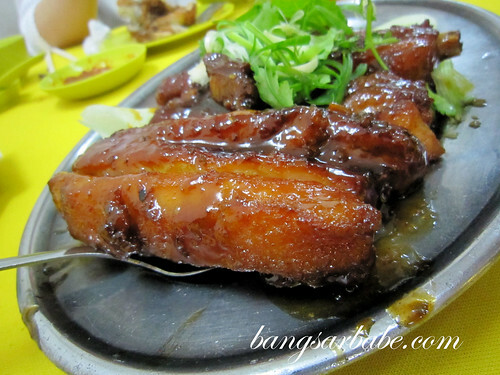 What I do when I get to Hong Ngek is to order the BBQ pork ribs; before I even get my table. This is a limited dish so after 1pm, chances are, you just missed a great finger-licking experience. Even a colleague, claiming to be on a diet, ate a whole large rib by herself. Fish fillet curry is one of my must order here. 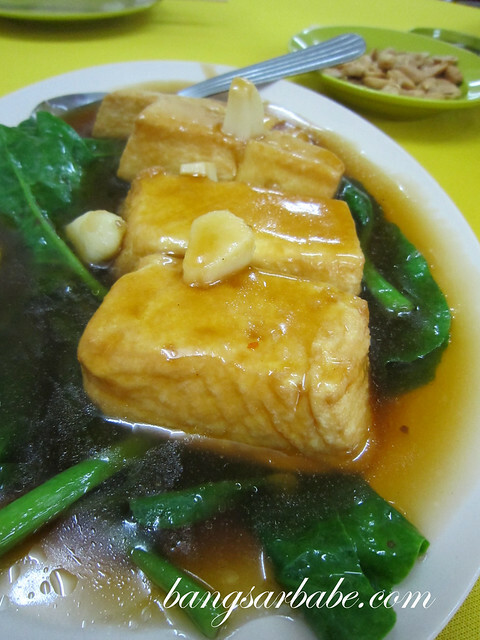 The fish is boneless and deep fried till crunchy before curry gravy and vegetables are added inside. 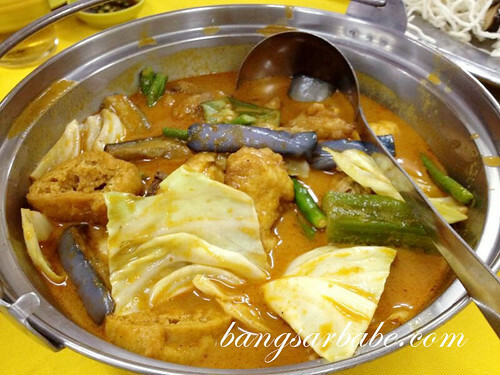 It is aromatic and thick with a good oomph from the spices. Terribly addictive with white rice. 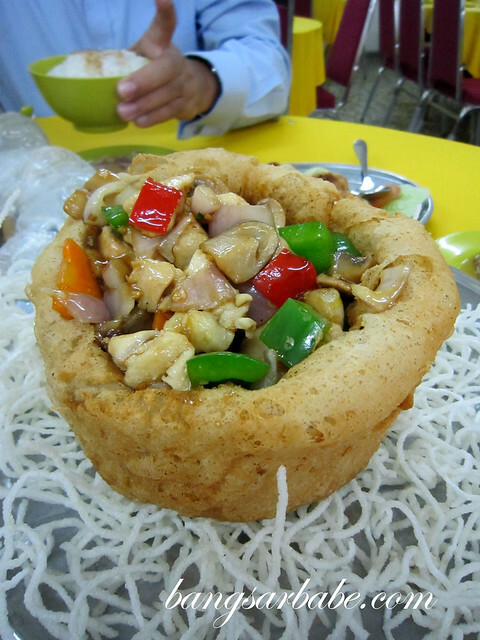 If you’re big on yam baskets, Hong Ngek does a pretty decent version with stir-fried chicken and vegetables in the centre. When I’m done with the yam, I like to nibble on the fried noodle bits used as a base and decor. 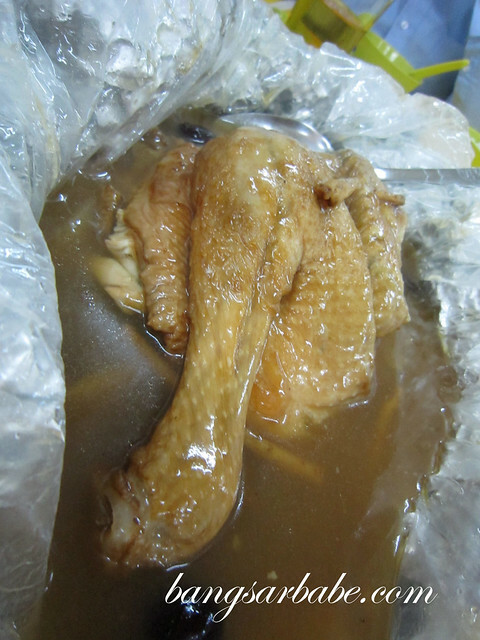 My colleague loves the herbal chicken here, but it’s not my kind of dish. That aside, Hong Ngek does it quite well. rif has popped by for lunch several times, and when he does, we order a bit more than the usual. 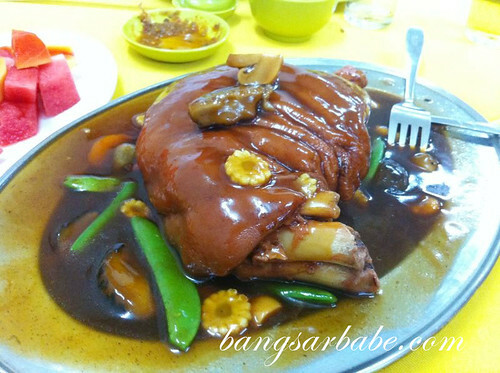 Hence the deep fried pork knuckle with Mongolian sauce and braised pork knuckle on a subsequent visit. 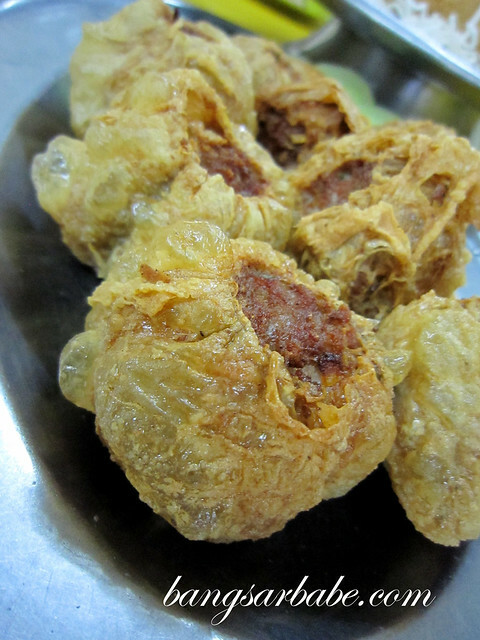 I like the fried pork knuckle better. I can’t quite describe the taste, but the Mongolian sauce tastes like a cross between curry sauce, BBQ sauce and butter milk sauce. 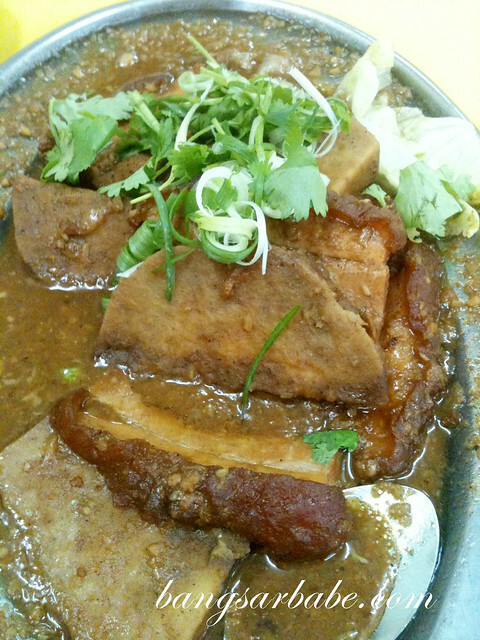 I’ve also tried the Hakka pork belly with yam slices and rice vermicelli fried with pork belly. The latter is bad for you, but also so good to eat. Verdict: Old school cooking done well. 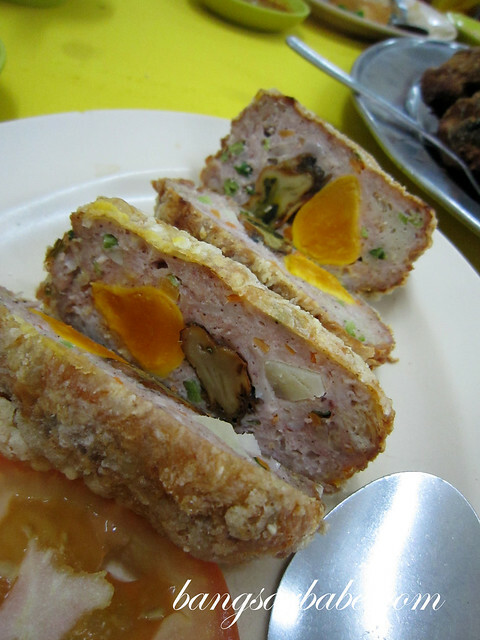 The oyster and egg yolk meat ball look like mooncake because of the egg yolk. lol..
Lol now that you mentioned it, ya!! We should arrange to go makan there. 😀 You’ll like the food. 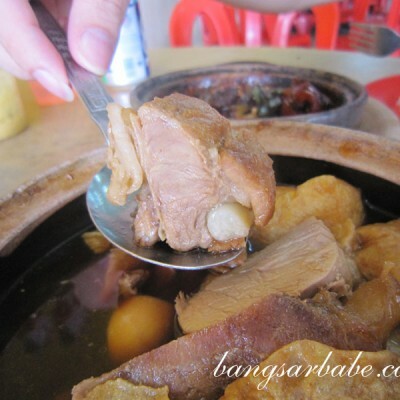 Yes, the tong fun is quite good too. 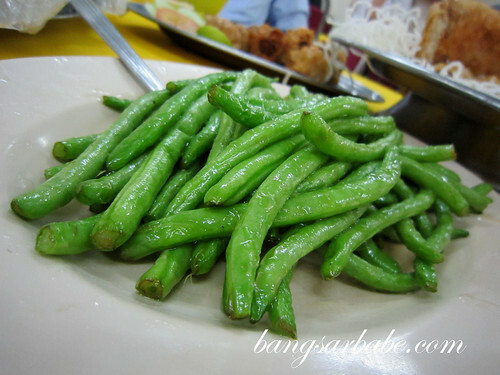 But I like the kau yuk mai fun better hehe.